The Tampa Marriott Waterside Hotel & Marina has made exciting updates to several of its key public areas including its main lobby, restaurants—Champions, Café Waterside, and the on-property Starbucks—and the outside patio. The $2.5 million enhancement was inspired by the newest generation of travelers, who rely on staying connected, whether through the computer or over a cup of coffee. Updates such as Wi-Fi-connected workstations and communal tables now make it easier than ever for them to do so at this luxury hotel. The great room lobby retains its Florida feel, but flexible seating, modern technology and an inspiring ambience encourage guests to work, socialize and eat instead of heading straight to their rooms. At Champions Bar and Grill, guests can watch the biggest games on new flat-screen TVs. 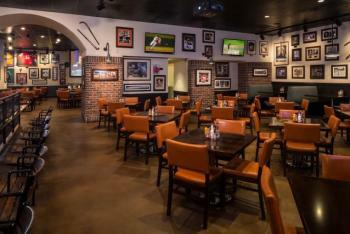 The restaurant has also added to its extensive collection of sports memorabilia and décor. 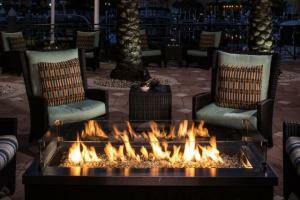 The outdoor patio features large flat-screen TVs, Wi-Fi and fire pits, enabling guests to plug in or kick back. To learn more about the updates at the Tampa Marriott Waterside Hotel & Marina, visit http://www.marriott.com/hotels/tpamc-tampa-marriott-waterside-hotel-and-marina/. Stay tuned for what&apos;s new & what&apos;s to come in Tampa Bay!